Game wardens who work for the New Hampshire Fish and Game Department are known as conservation officers. As certified law enforcement officers, New Hampshire’s conservation officers serve as backup for other law enforcement agencies. New Hampshire’s status as one of the country’s most forested states results in an incredibly diverse population of wildlife and birds. Unfortunately, this status has resulted in a history of major poaching operations too. One of the primary duties of New Hampshire’s conservation officers is to apprehend these poachers. In addition to being highly agile physically, game wardens in New Hampshire should have a strong background in biology and ecology. These positions also require knowledge of such diverse areas as statistics and communications. Additionally, game wardens typically serve in a particular jurisdiction and are responsible for managing all of the fishing, wildlife, and habitat issues that may occur throughout their area. This rigorous combination of skills results in challenging positions that are highly sought after. Hiring departments rigorously evaluate potential candidates to ensure they hire only the most qualified candidates. Therefore, having a detailed knowledge of the requirements and selection process for conservation officers will help applicants to effectively showcase their skills for these positions. Read on to determine how to become a successful game warden. Conservation officers in New Hampshire enjoy the outdoors, the practice of law enforcement, and working with the public. This elite career path leads to a highly fulfilling job for those that are chosen. In addition to their law enforcement duties, New Hampshire’s conservation officers also act as public advocates for the protection of natural resources and educate hunters, anglers, and other members of the public. Applicants for conservation officer positions should be prepared to demonstrate that they have a wide array of skills that will both help them enforce the law and interact well with the public. Citizenship: Proof of U.S. citizenship or of permanent resident alien status who is eligible and has applied for citizenship; applicants must be a citizen at time of appointment and reside in New Hampshire. 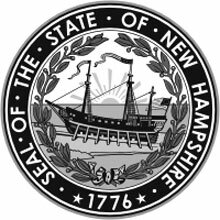 License: A valid New Hampshire-issued driver’s license is required. Individuals must maintain a ‘good’ driving record. Academic Credentials: High school diploma or GED. An associate’s degree or two years as a certified police officer or in full-time military service are required to complete the application. Interview: Candidates will have a face-to-face panel interview during the later stages of the application process to evaluate knowledge and skills, judgment skills, critical thinking abilities, and maturity. Medical Condition: The applicant is to be examined by a licensed physician to ensure that they are in good health. Hearing: The applicant must have hearing adequate for the job, including long distance, directional and voice conversation hearing. Vision: Visual acuity not less than 20/40 in each eye without correction and corrected to 20/20 in each eye. Normal perception of color is required due to requirements of the job.